We're Sending Your Message Message received, we'll be in touch. Thanks for subscribing! 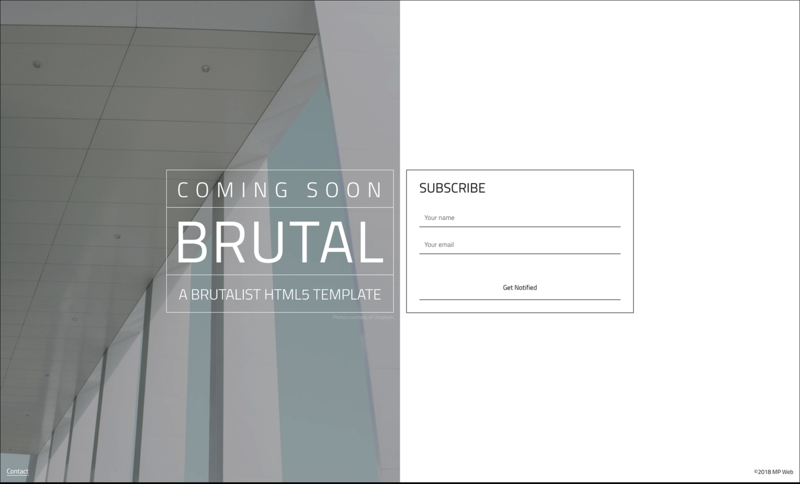 You are subscribed! 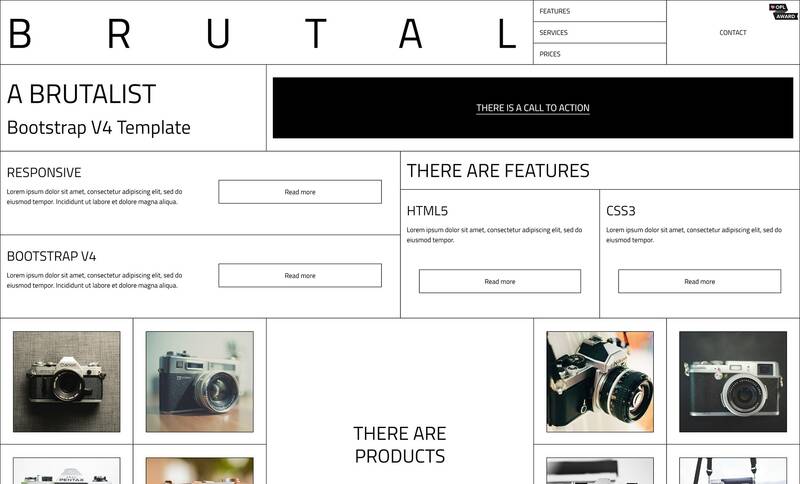 Having trouble configuring the template to your liking? We can help you with that. Let us know what you want to do and we'll provide you with detailed instructions on how to do it yourself, or we can do it for you. 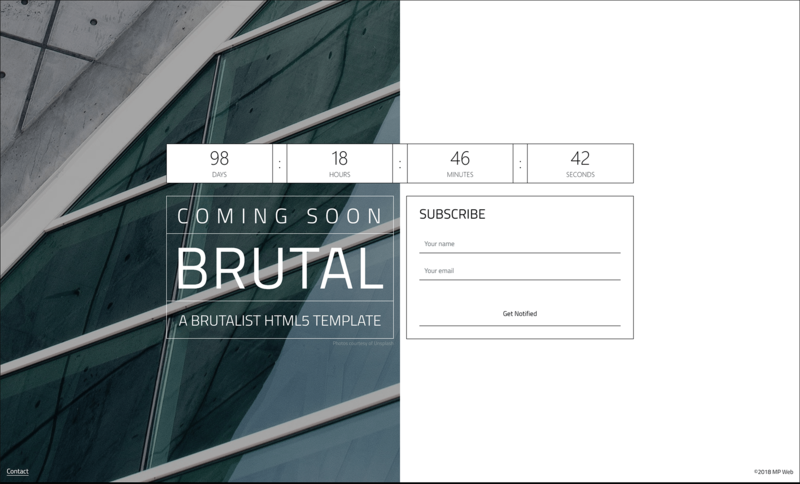 Ready to go live with your very own customized version of Brutal? We can run a pre-launch checklist on your site to make sure it's fast and secure, is optimized for search results and looks awesome on every device. 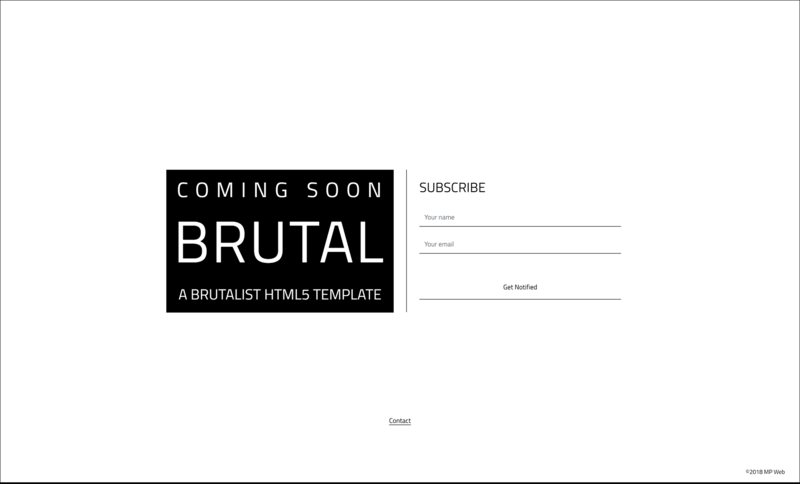 If you've customized Brutal then there's a chance it's going to affect your website speed. Send us the URL to your site and we'll give you some pointers on making sure your site is blazing fast, or we could do it for you. Recipient of the One Page Love design award. 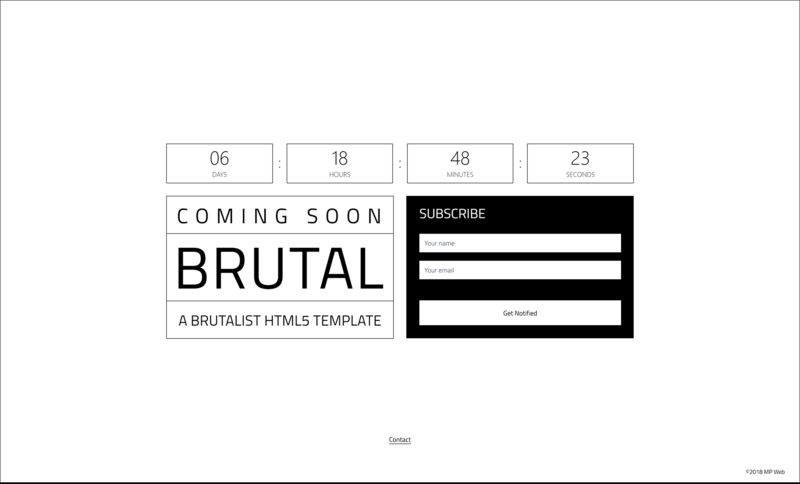 Described by The Next Web as "An exemplary framework used to design a Brutalist website". 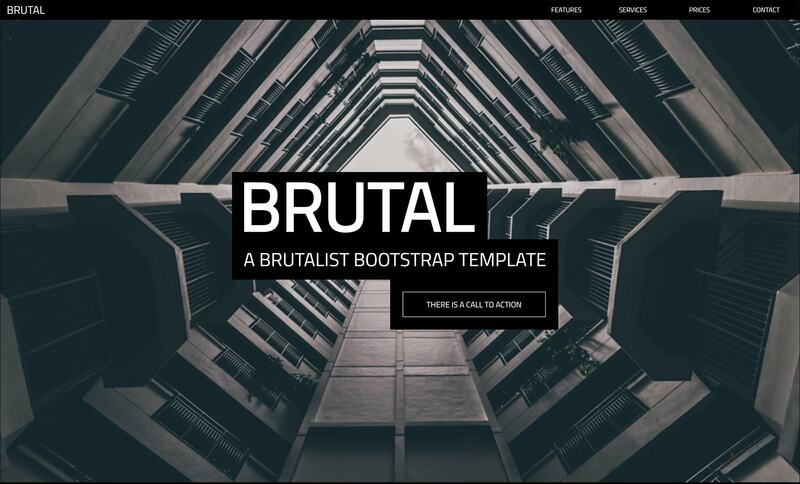 Brutalism can be seen as a reaction by a younger generation to the lightness, optimism, and frivolity of today's web design.